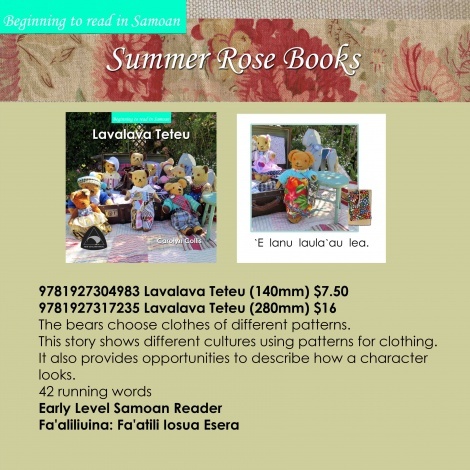 The bears choose clothes of different patterns written in Samoan. 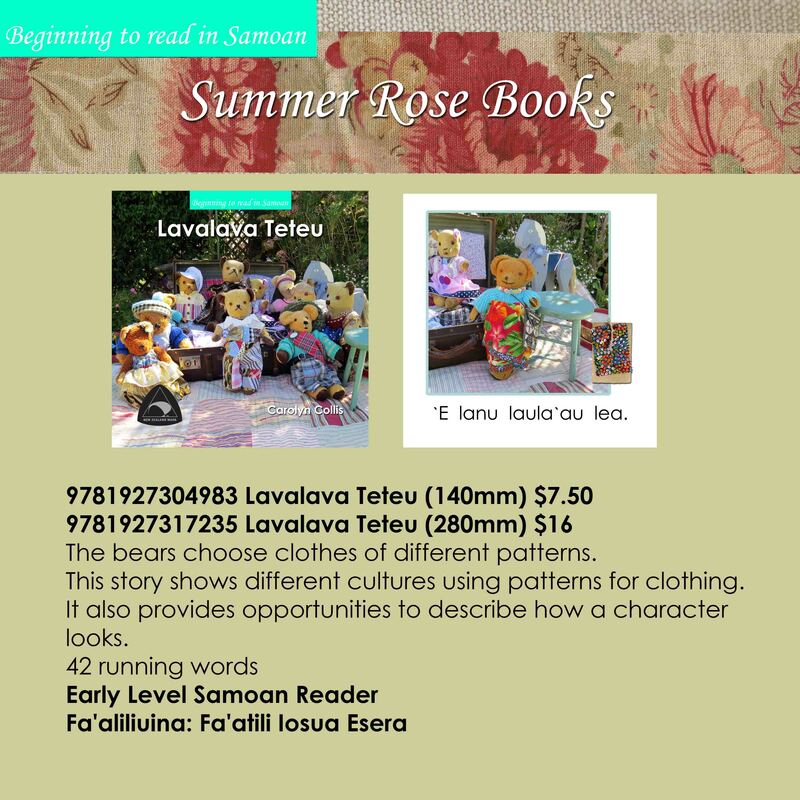 This story has patterns used by several different cultures for clothing. It also provides opportunities to describe how a character looks.